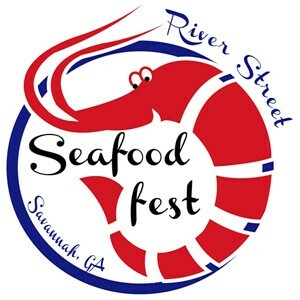 Savannah Riverfront is excited to bring back Seafood Fest after a five year hiatus! Shrimp, crawfish, oysters, crab, and more will be featured at this year’s event. Weekend festivities will take place May 3-5. Festival hours are noon-11pm on Friday, 10am- 11pm on Saturday, and 10am-7pm on Sunday. Select local restaurants, inc luding our friends on River Street at Wet Willie’s, Joe’s Crab Shack, and Shrimp Factory, will be serving Savannah style seafood at their booths all weekend long! Start your weekend off with First Friday Fireworks presented by Wet Willie’s at 9pm! Rousakis Plaza will be full of music and artist booths featuring coastal inspired art. Live Entertainment will take place on the Arbor Stage and feature Damon and the Shot Kickers on Friday from 7-10 pm and Keith and Ross on Saturday from 8-11 pm. Don’t miss the Savannah Sport Fishing Club’s May General Tournament official weigh in at the Arbor Stage on Saturday from 5:30- 7pm. Wrap up your weekend by joining us again on Sunday from 11am-4pm for the 5th Annual Island Car Enthusiasts (I.C.E.) Car Club Show! This year’s Festival Series is hosted by the Savannah Riverfront and proudly sponsored by Verizon Wireless, Southern Eagle Distributing, Savannah Coca-Cola, Wet Willie’s, Wells Fargo, and our friends at Adventure Radio. Enjoy Savannah Riverfront: The Way to Experience Savannah.